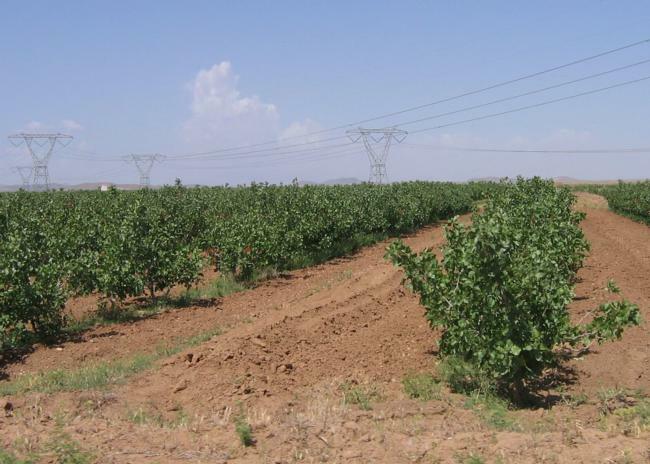 In the 1990's pistachio acreage was expanding in the San Joaquin Valley of California. 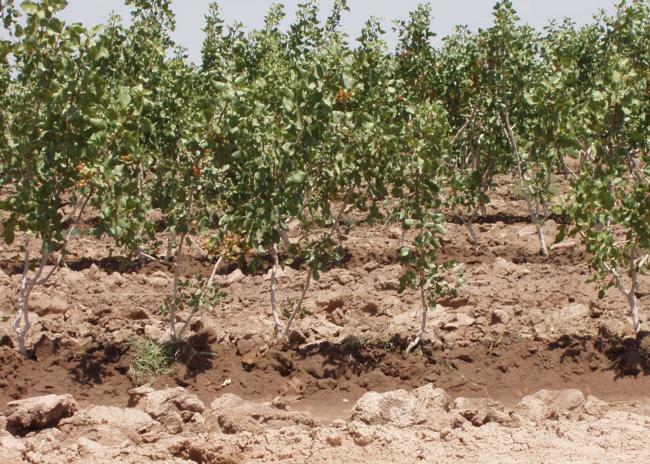 Given the heavy clay soils and limitations on irrigation water, we were concerned about the impact of soil and water salinity on pistachio production. 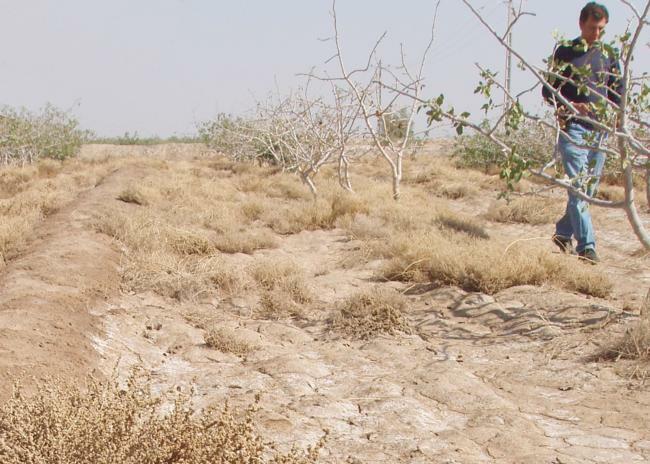 As part of my longterm commitment to international extension work, I visited Iran in the summer of 1995, to observe and advise local growers on various aspects of their treecrop production management. For me, this was as much a learning experience as a teaching experience. 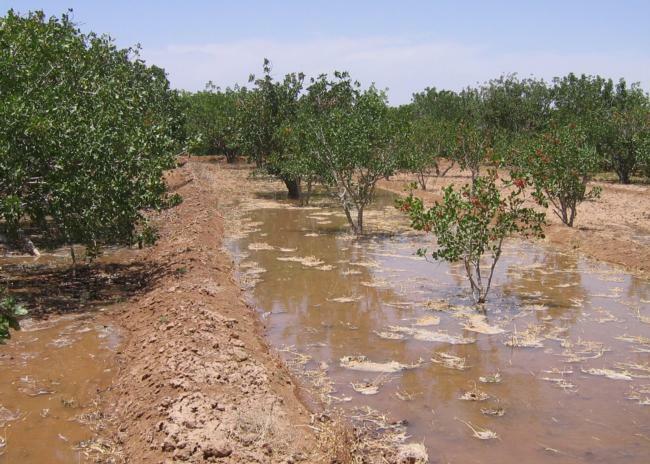 I observed commercial pistachio trees growing under a typical irrigation regime; I measured the salinity using a handheld device, and secured a copy of the soil and water report of this water (below). 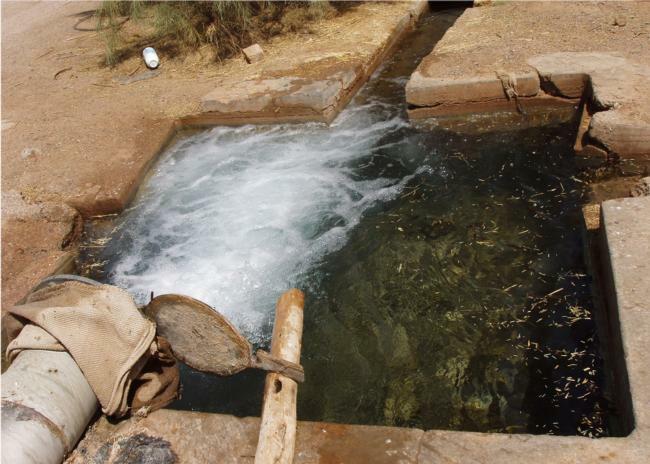 The slideshow at right provides some of photos of a typical irrigation. 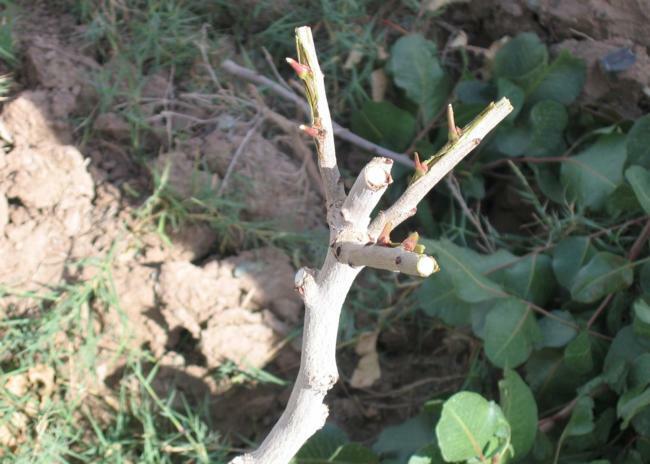 Generally, I was told, pistachio orchards were irrigated 3 times per season or at 45-day intervals. 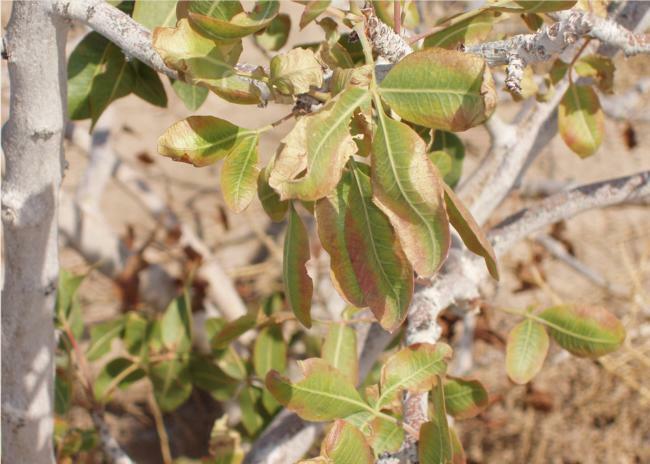 In one location we sampled trees which were apparently suffering from salinity injury. We collected leaves, cut the leaves into necrotic and green tissue and had the leaves analyzed. This produced the leaf analysis report at right. 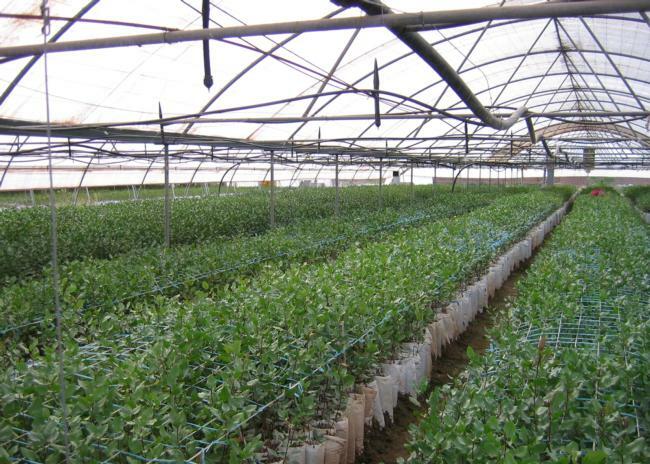 By our standards these leaves are phosphorus, potassium, boron, zinc and copper deficient. 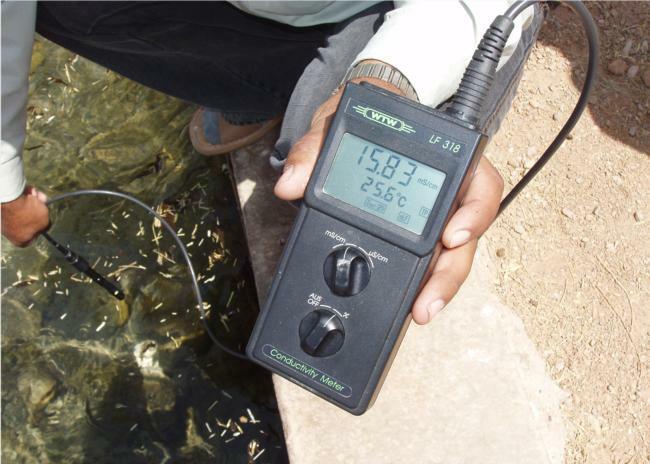 Nitrogen was within normal levels. Sodium, chloride and manganese were all greatly elevated. 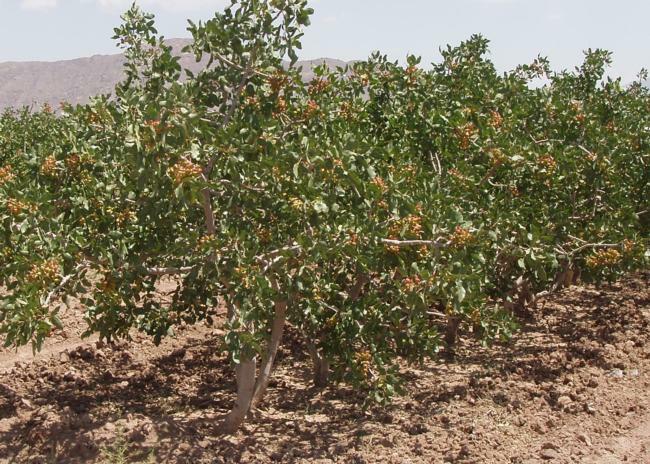 This limited data suggested that pistachios have a great tolerance for salinity. This experience was the impetus for our subsequent investigations of the salinility tolerance of California pistachio rootstocks. Pistachio orchard data, Iran 1995.